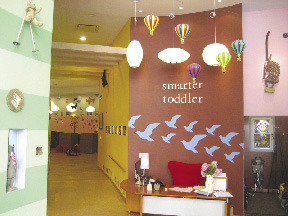 Smarter Toddler, a preschool that offers an enhanced quality child care program through cultural experiences and the arts, has recently opened its second area facility in the Nicole, a rental building located at 400 West 55th St. Nicole is owned and operated by Gotham Organization. "This neighborhood is a perfect fit for the school's philosophy which promotes diversity, creativity and culture," said Katherine Sabroff, Gotham Organization's vice president of marketing and operations. "The school is also the ideal complement to our family-friendly building: a boutique nursery school offering childcare services to working professionals who desire a stimulating and progressive environment of superior quality." The school occupies 7,200 s/f on the ground floor level of the building, and architectural features include 30-ft. ceilings, open spaces, colorful walls and wood floors designed to bring the feeling of a loving, home environment to institutional daycare. 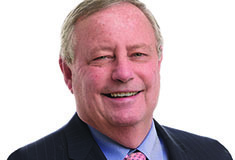 The 12.5-year lease was brokered by George Gordon with George R. Gordon Real Estate. 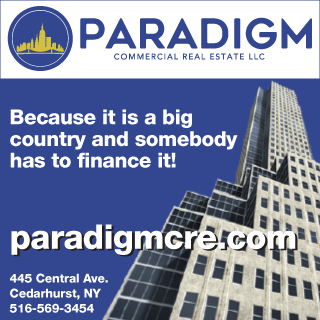 Established in 1931, Gotham Organization, Inc. and Gotham Construction Company, LLC is a fourth-generation New York City real estate and construction firm, with portfolio operations of over 1.7 million square feet of residential and retail properties. Joel I. Picket and David L. Picket have overseen Gotham's expansion into the full-service builder and developer it is known as today. A recognized leader in the New York real estate and construction industry, Gotham has implemented a host of subsidized and tax-abatement housing programs. In recent years, Gotham has developed five 80/20 buildings in Manhattan through the utilization if triple tax-exempt bond financing, low income housing tax credits, and 421(a) real estate tax abatements.